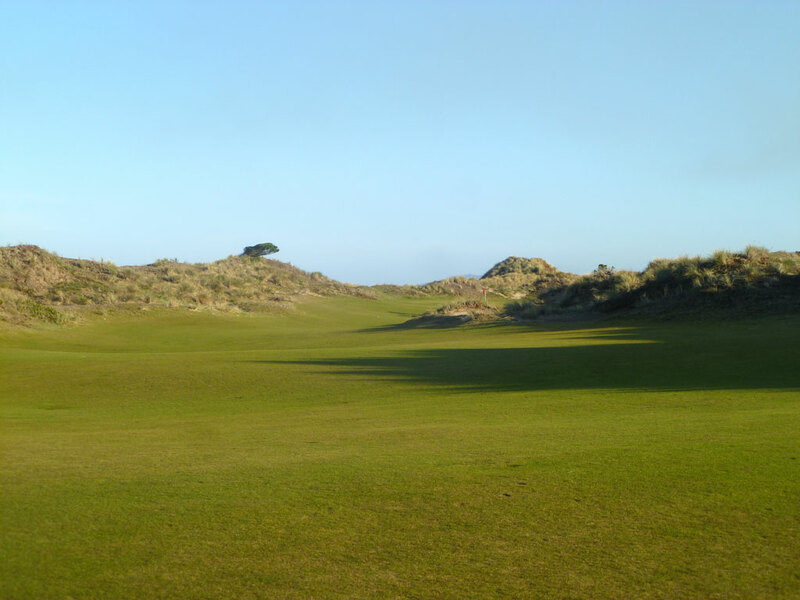 Course Website: Official Website - Visit Bandon Dunes's official website by clicking on the link provided. 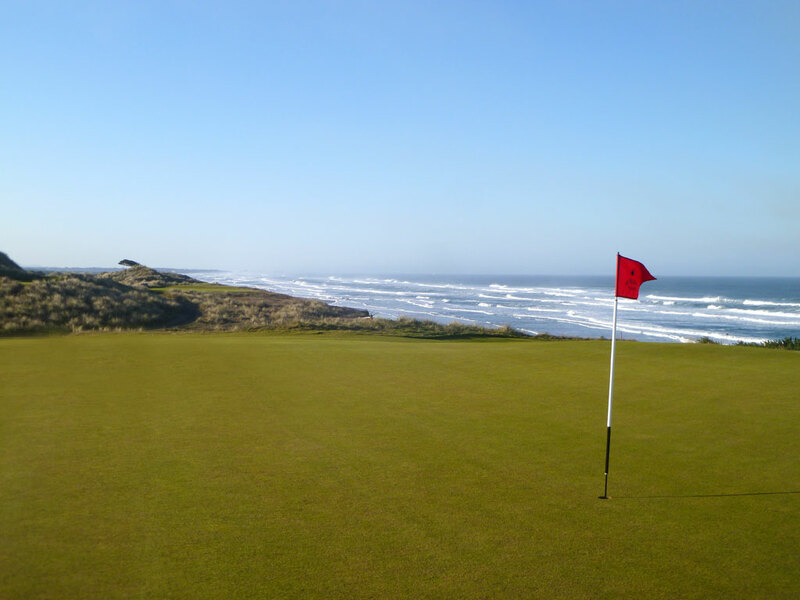 Accolades: Ranked 2nd in Oregon on Golf Course Gurus' Best in State list. What to Expect: Ah yes, the course that started it all. 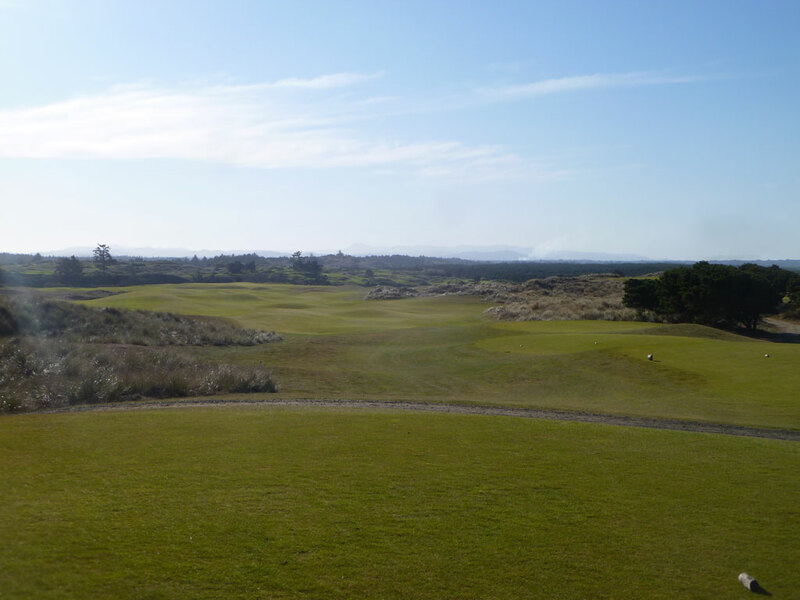 No, not St. Andrews; I'm talking about Bandon Dunes. 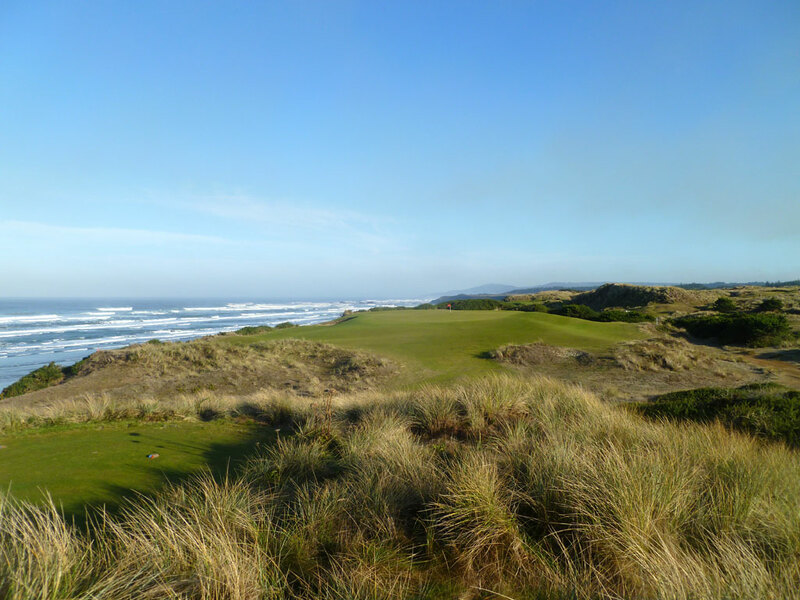 The course that for the first time in American golf history had players considering playing along the Oregon coast rather than Pebble Beach's California course; and for half the price!. It all started with the dream (and money) of Mike Keiser that wanted to introduce a "pure" golf experience to the general public. Most golf experiences that take golfers back in time when caddies carried bags, signs weren't found on tee boxes, and yardages weren't displayed on sprinkler heads are reserved for private courses like Cypress Point, San Francisco Golf Club, and Shinnecock Hills. But the revolution at Bandon Dunes brought "golf as it was meant to be" to the general public and on this side of the Atlantic Ocean. 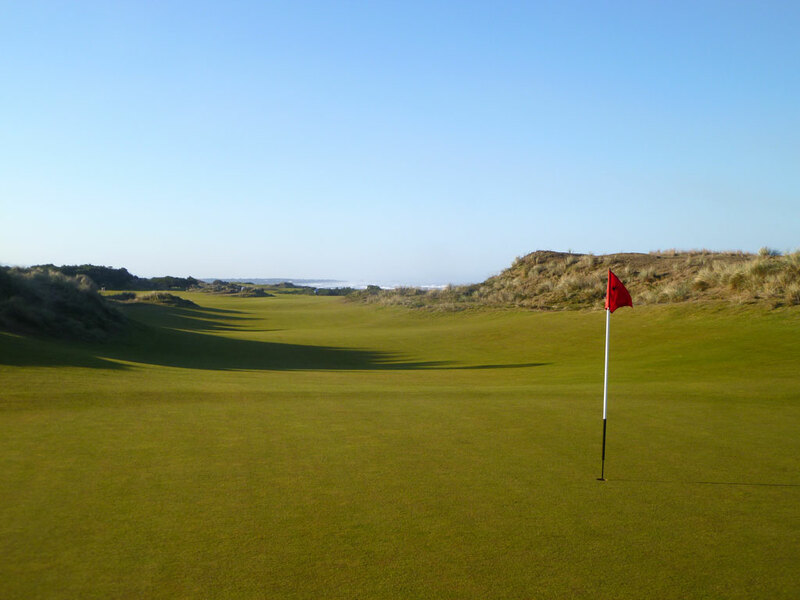 Scottish links coastal courses prior to Bandon Dunes were reserved for those fortunate enough to play internationally while the rest of us could only watch the British Open on TV and wonder what it would be like. 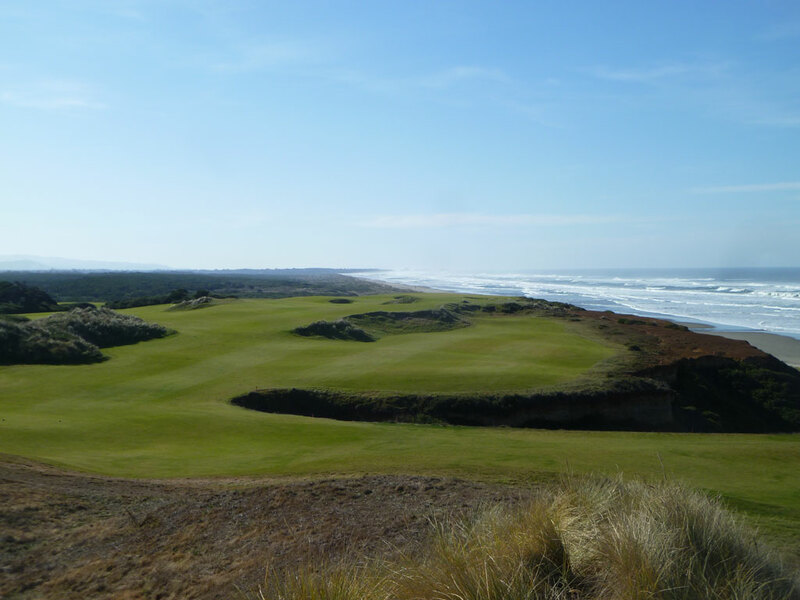 Well the Bandon Dunes Resort and its four courses have been a gigantic hit and the only concession they've made since the original course opened was to put yardages on the sprinkler heads; other than that Bandon Dunes is as pure of a golf experience as can be found. 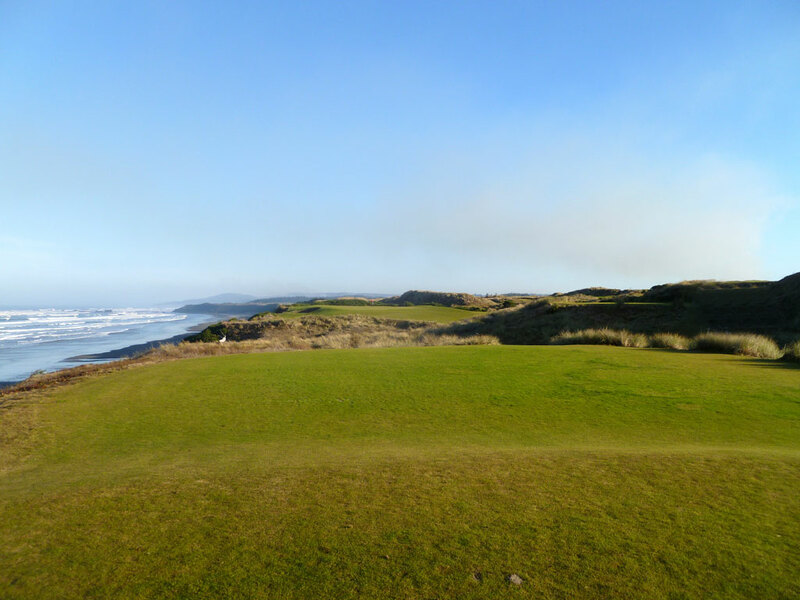 Signature Hole: 16th Hole – 363 Yard Par 4 – The most distinguishable coastal hole at Bandon Dunes is the relatively short par four 16th hole that features a gorge that gouges into the hole not too far beyond the tee box and then a barannca ledge further down the hole near the driving zone. Carrying both hazards takes a decent drive, but nothing overly heroic. The approach shot into the green is both stunningly gorgeous and treacherous with the ocean crashing on the beach just beyond the cliff edge behind the putting surface. Best Par 3: 6th Hole – 217 Yards – After being introduced to the ocean at the 4th hole green, the golfer is treated to a pair of coastal holes including this attractive one-shotter. The putting surface rests on a raised plateau surface and is surrounded by tightly mown grass that requires precision wedge work to play from. 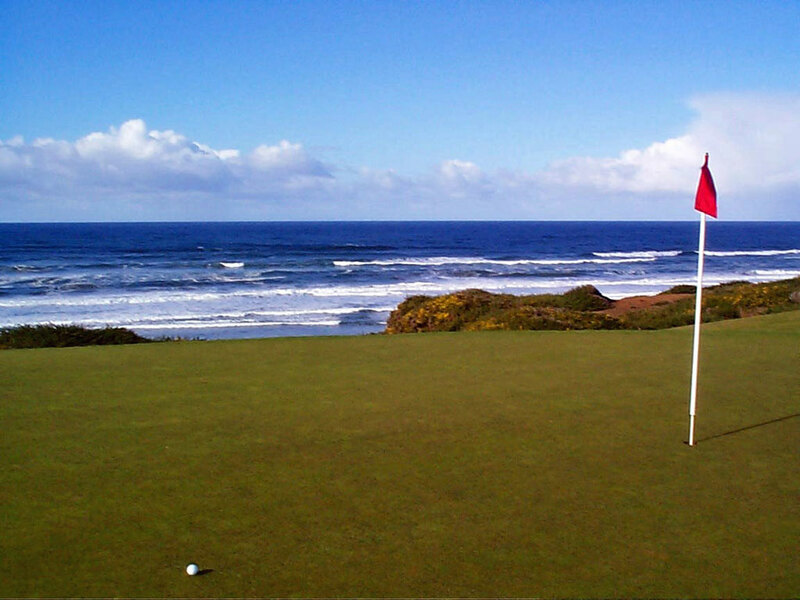 There are two hazards located left of the hole; a small pot bunker and the largest water hazard on the planet – the Pacific Ocean. 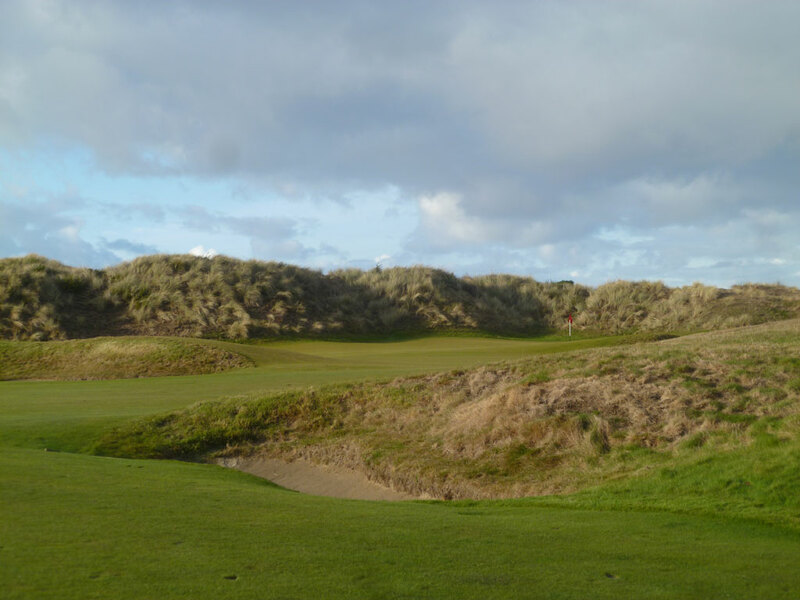 Best Par 4: 4th Hole – 443 Yards – Recognized as one of the Top 500 holes in the world by Golf Magazine in 2000, David McLay Kidd elected to introduce the ocean to the golfer on his approach shot rather than from the tee. This design tactic raises exhilaration in the player as they hit their tee shot down the fairway, listening to the waves crashing to the west, and then find the hole doglegging to the right towards the ocean. 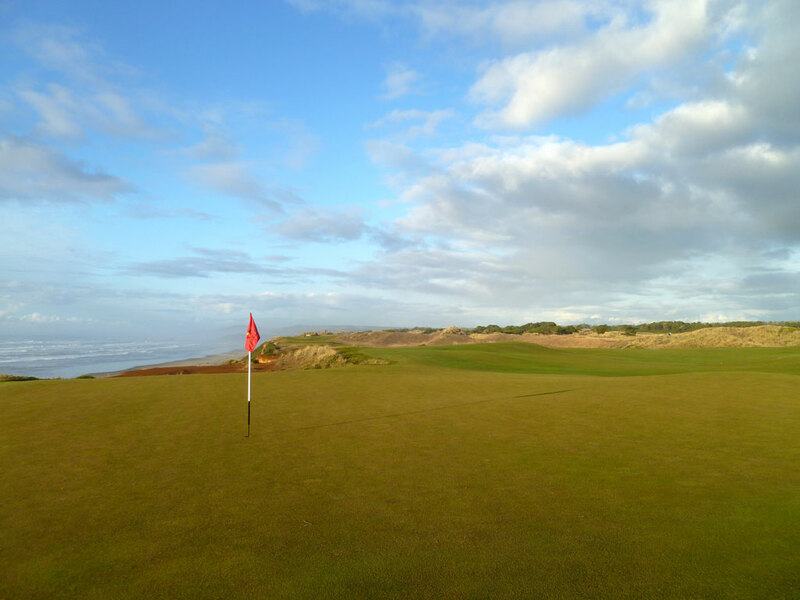 Once the golfer turns the corner and the unobstructed view of the green and ocean are afforded, the golfer can’t help but feel a rush before attempting an approach shot to this green that features a pair of bunkers to the left and the ocean in the back. Best Par 5: 13th Hole – 553 Yards – Kidd loves to undulate fairways and the 13th hole at Bandon is featured will ‘lumps’ throughout the entire hole. There aren’t any bunkers on the hole but the only water hazard on the course is found to the left of the fairway and can be reached with a long, downwind drive. Conditions are generally such that reaching this green in two is quite doable, this biggest challenge will be find a favorable lie on a fairway featuring so many uneven lies. Birdie Time: 14th Hole – 390 Yard Par 4 – If you can avoid the seven bunkers scattered throughout the fairway of this short par four, then you have an excellent chance to score a birdie. 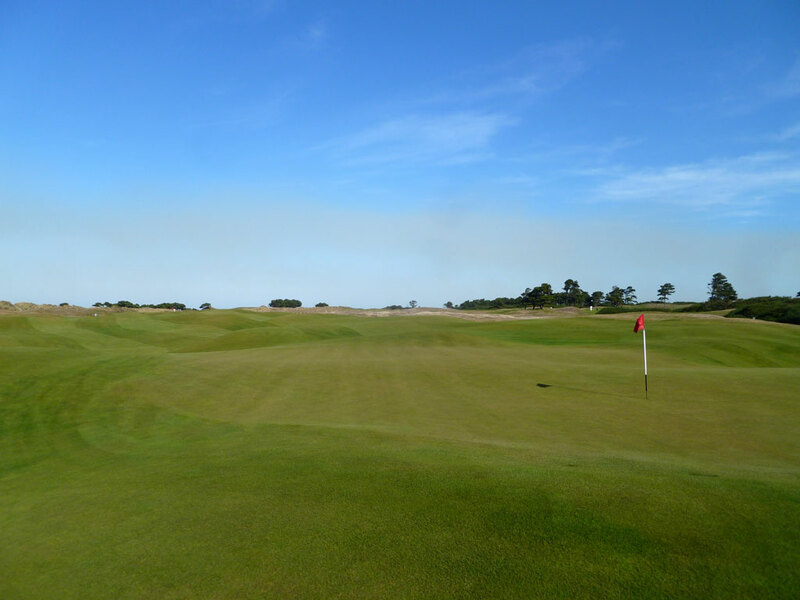 The fairway is wide on this dogleg right that plays to a green resting below a large dune. Coming in from the left side of the fairway provides a good angle to the green and will play directly into the prevailing wind and thus help approach shots land softly on the putting surface. Noted a Kidd’s favorite hole, this is also a great chance to take a 3. 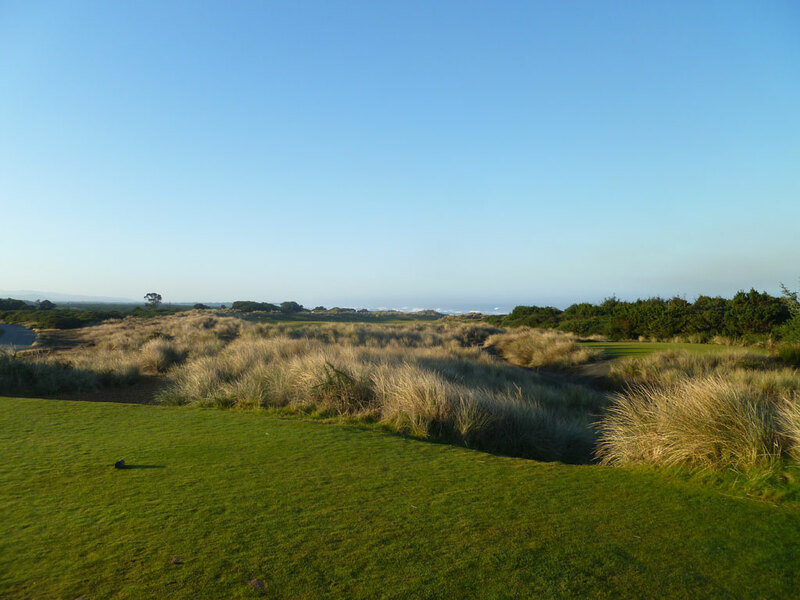 Bogey Beware: 5th Hole – 445 Yard Par 4 – Running directly north into the prevailing summer wind, the 5th hole is one of the most impressive and difficult coastal holes anywhere. 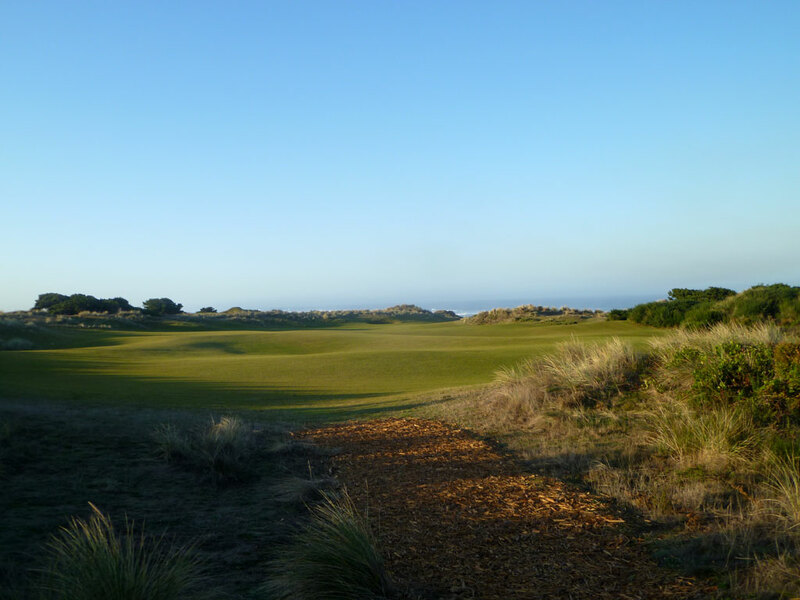 The left center of the fairway features a grouping of natural foliage that requires the golfer to decide whether to drive down the wider, safer right side or whether to challenge the thin strip of fairway crawling between the natural foliage and the ocean. 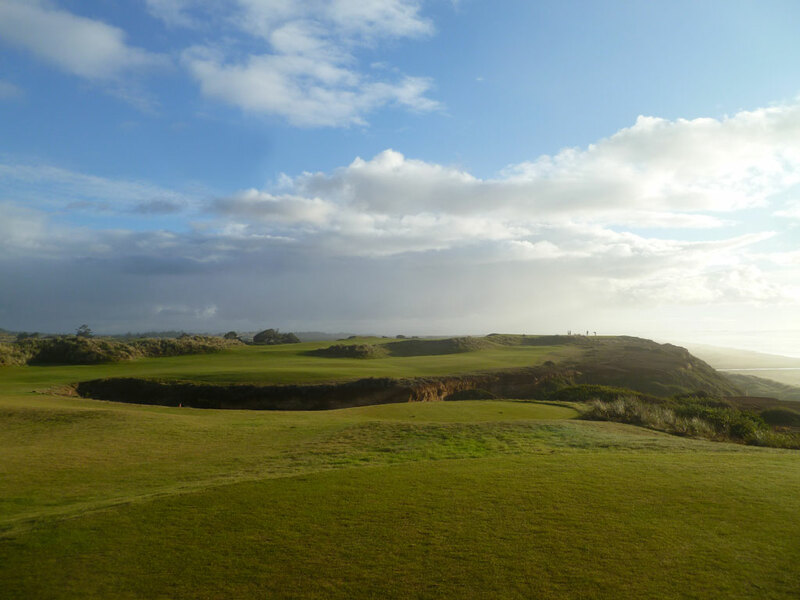 Few golfers will dare to challenge the fairway that is cut along the ocean cliff edge, instead electing to play the safer right side and setting up a blind approach to the green. The fairway funnels tightly about 150 yards from the green and slithers up to the putting surface. 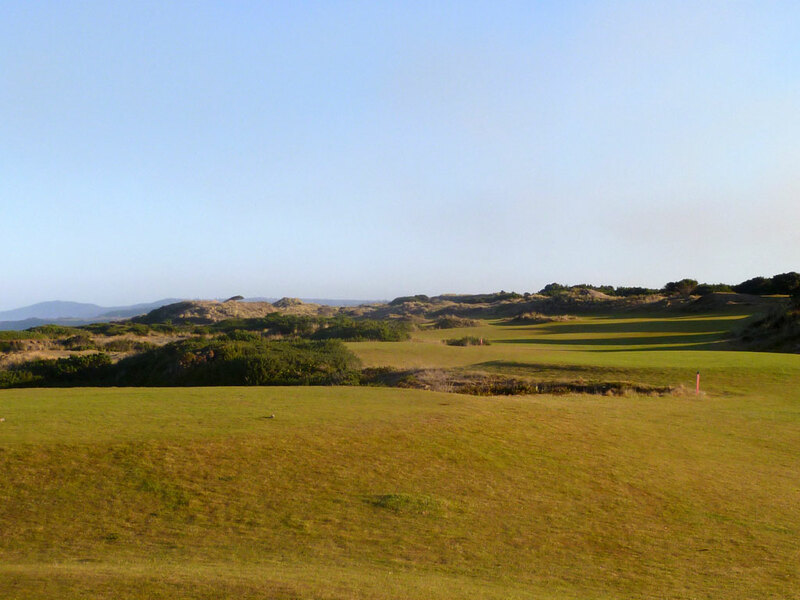 With a challenging tee shot, tight approach shot, and plenty of length into the wind, the 5th hole at Bandon Dunes will require your ‘A’ game to avoid a bogey.